Today, we were featured on Flashpoint on WDIV with Devin Scillian. The conversation focused on Direct Primary Care, and our clinic in Southwest Detroit called Plum Health DPC, which is making healthcare affordable and accessible in Detroit and beyond. 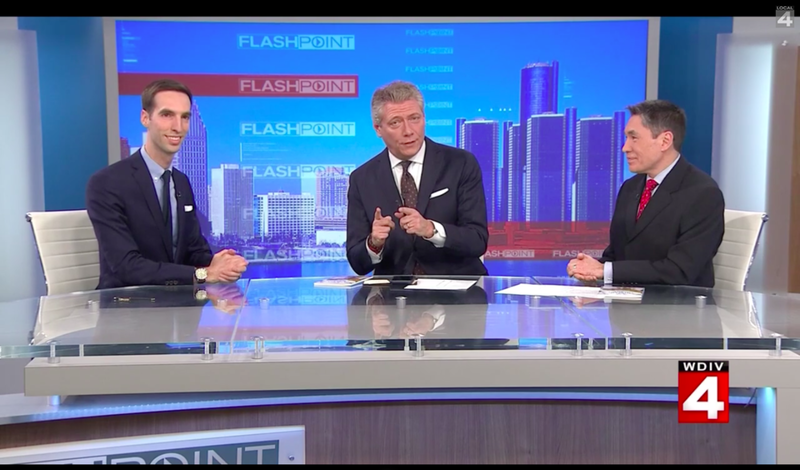 Devin Scillian is the host of Flashpoint, and a highly respected journalist in Detroit, so it was a tremendous honor to be invited onto the program to discuss this important issue. Flanking Devin Scillian was Frank McGeorge, MD, an emergency room physician and the Good Health reporter for WDIV. Dr. McGeorge was brought in to provide an additional layer of insight into health care and ask questions about Direct Primary Care from the lens of a physician/health care insider. We also discussed our book, Direct Primary Care: The Cure for Our Broken Healthcare System. Devin Scillian: Should your doctor be subscription-based? A new model allows as many visits as needed, for one monthly rate. There was a discussion about new concepts in health care… For some time I’ve been wanting to talk about a new idea in Health Care, it’s called Direct Primary Care. It doesn’t come from your employer, or the government. It’s basically an agreement between you and your doctor - you pay a monthly fee to subscribe to your physician. All the visits that you might need that month are covered. You need medications? Well, they cut a deal on prescriptions, which you would pay out of pocket. We’ve had a lot of debates about what to do with American Health care - there’s talk about single payer health care and a universal system. Getting less conversation, and we’ll correct that this morning, is the idea of Direct Primary Care, and the Author of a new book Direct Primary Care: The Cure for Our Broken Healthcare System, is with us this morning, Dr. Paul Thomas of Plum Health DPC. And we have Dr. Frank McGeorge, our medical reporter from WDIV Local 4, who will ask better questions than I would. So you can get rid of health insurance? Devin Scillian: The first thing I want to get to, is to get rid of insurance and the government? Paul Thomas, MD: I unequivocally recommend that folks have health insurance, but for your routine primary care services, the costs are much less if you purchase them directly through your doctor. You want to maintain a health insurance plan that you’re comfortable with, and use the free market or Direct Primary Care services to the lower the costs of your meds, labs, imaging services, and doctor visits. So this is a club, basically? and what is your Pricing like? Devin Scillian: So, I would kind of use you and your partners like I belong to a club, basically? 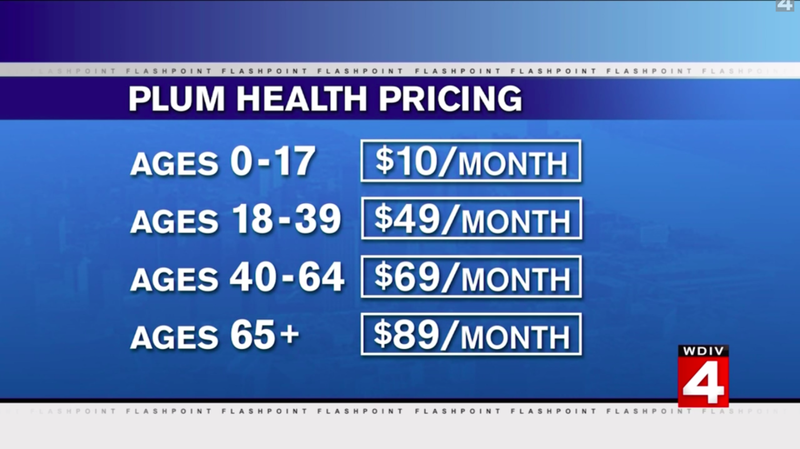 The 2018 pricing for Plum Health DPC, as shown during an interview between Paul Thomas MD, Devin Scillian, and Frank McGeorge MD on Flashpoint on WDIV, Local 4 News. Devin Scillian: Unless your in a health plan that I’ve never heard of, this looks really reasonable, much less than you and I are paying, doc (Dr. Frank McGeorge). Dr. Frank McGeorge: This is a very different way of doing things, clearly, and it does make sense. I have to say, I really applaud what you’re doing, because I think it’s wonderful that you are getting back to the most basic form of providing health care, that is directly to the patient, cutting out all of the bureaucratic nonsense as much as possible. You don’t need a biller and coder in your office, you save that money right off the top, and you pass that savings directly onto the patient. Biggest concerns about the direct primary care model? Devin Scillian: So your biggest concerns with it are what? Dr. Frank McGeorge: Well what’s interesting to me, is that you’re doing what we used to do in Family Practice one hundred years ago, you were the small town doc. Everyone would come to you with all of their problems. But the problem now is that back then you could know all of medicine, but now, medicine is so much more complex. I guess, how do you deal with specialty referrals? The things that are out of your family practice domain. Paul Thomas MD of Plum Health DPC on Flashpoint with Devin Scillian and Dr. Frank McGeorge of WDIV Channel 4 in Detroit, Michigan, discussing Direct Primary Care. Paul Thomas MD: The typical scope of a family medicine doctor is 70 - 80% of anything that you might walk into the doctor’s office with. So I can handle 70 - 80% of your concerns, the rest you would typically refer to specialists. Now in my model, we use an e-consult platform called Rubicon, where we can write up your case history and send it to a Board Certified Ophthalmologist or Dermatologist or Cardiologist with a photo or a copy of your EKG, and get a second opinion at no charge to you the patient. Devin Scillian: No charge to me, because you’ve developed a relationship with these specialists. Paul Thomas MD: Exactly, it’s an e-consult platform called Rubicon that any primary care physician can use, and I use it because I actually have the time to listen to you fully, to take down copious notes about your condition, and send those over to the specialist and get a second opinion within about 12 hours. How many patients can a direct primary care doctor handle? Devin Scillian: Have you figured out where the sweet spot is for how many patients you can handle? Paul Thomas MD on Flashpoint with Devin Scillian and Dr. Frank McGeorge of WDIV Channel 4 in Detroit, Michigan, discussing Direct Primary Care. Paul Thomas MD: The typical number of patients per physician in the Direct Primary Care model is 500 - 600 patients. Now, contrast that with the typical family doctor who has to have 2,400 patients, so they’re seeing 1% of their panel each day or 24 patients each day. In our model, when we see 1% of our panel, we see 5 - 6 patients each day. And, that gives me an hour per patient to really sit down with you and understand what you’re going through, and help you through that situation. What is the pricing like for medications and lab work? Devin Scillian: You and I have been looking at these price lists (to Dr. McGeorge), because they cut deals on prescriptions and on lab tests. With your trained eye, and the time you spend in the Emergency Room, how does everything look? Those forms for your reference: List of our laboratory prices. List of our medication prices. Dr. Frank McGeorge: This is clearly the way it should be. One of the things I’ve always rallied against is the opaqueness of how billing and charging is done in the medical care system. Frankly, if you go into hospital A versus hospital B, you don’t know how much you’re going to be charged for any given test because it’s different in each hospital. This (pricing) is great because it’s all laid out in advance and it looks like it’s done, basically, at cost. Paul Thomas MD: Exactly, because you’re already paying the membership, I want to give you as much value for your healthcare dollar as possible. So, we make all of our prices transparent, and we only charge the cost of the medication, or the lab, or the imaging service so you get the most value out of the service as possible. Can Direct Primary Care Doctors make money in this system? Devin Scillian: I don’t know how to ask this delicately, but is this lucrative for you? Do you make a fair amount - enough money? Or are you just messing with the system? Paul Thomas MD: As the membership grows, as the doctor gets to full capacity, you earn about what you would make as an employed physician, maybe a little bit less. But, we have a saying in the Direct Primary Care movement that nothing pays like autonomy. I can be the physician I was meant to be. And, in this model, it’s really inspiring for other doctors who want to join this movement because you have the ability to practice medicine on your own terms, and not at the dictates of insurance companies or government heath care systems. The full video can be seen above, and on the Flashpoint website. Paul Thomas, MD with Devin Scillian and Dr. Frank McGeorge of WDIV Detroit on the set of Flashpoint. 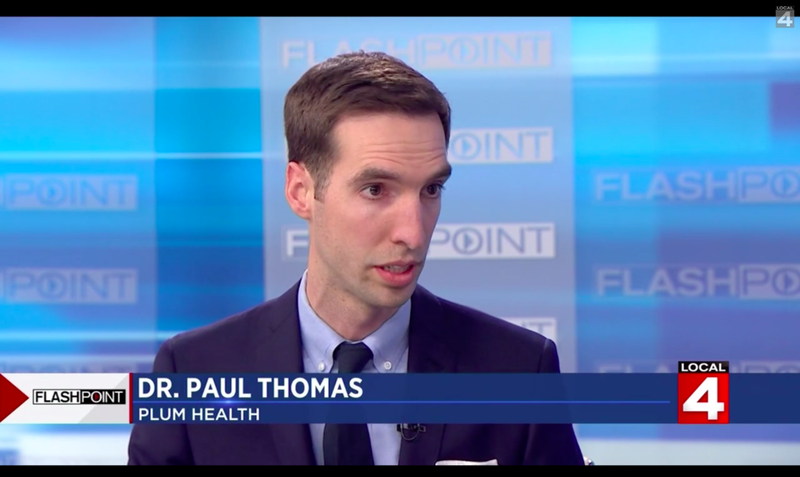 The discussion on Flashpoint this week centered around Direct Primary Care, a new model for health care that aims to improve the quality of healthcare while decreasing overall costs. Paul Thomas, MD of Plum Health DPC, Devin Scillian of WDIV Channel 4 News in Detroit, and Dr. Frank McGeorge, an Emergency Medicine Physician and broadcaster with the Good Health segment on WDIV local 4. During Flashpoint this week, we discussed Direct Primary Care and the opportunity that it provides to change our healthcare system from the ground up. Devin Scillian was also kind enough to mention our book, Direct Primary Care: The Cure for Our Broken Healthcare System. The last 3 weeks have been a whirlwind! 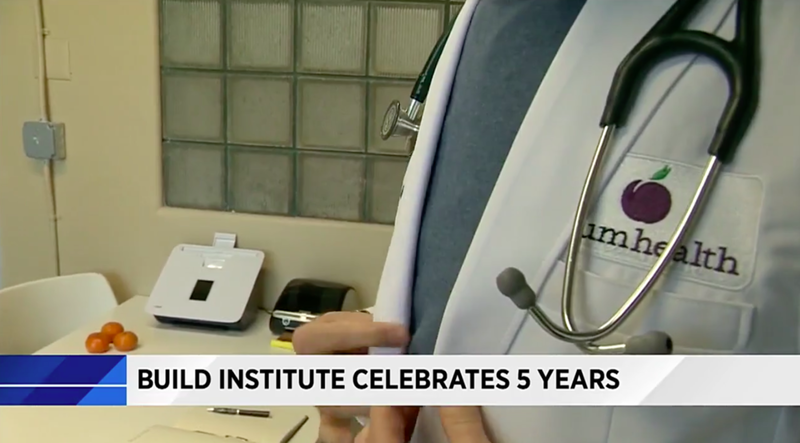 About 3 weeks ago, we were featured on Channel 4 news in Detroit, aka WDIV. Within the week, we had roughly 2,000 unique page views, 100 phone calls, 200 emails, and 30 - 35 new sign ups for our service. It was an overwhelmingly positive response. Our focus has been to take really good care of the new folks who signed up while maintaining our excellent standard of care for the people already signed up for our service. Our focus is on quality, not quantity. Also, I attended the AAFP's Direct Primary Care Summit in Washington DC and met with some legislators and legislative assistants to discuss DPC and what we do at Plum Health in Detroit. This was a great trip and a great chance to talk with legislators about what we do at Plum Health and in the Direct Primary Care model, but also talk with our DPC colleagues. Furthermore, we continue to save our members significant amounts of money on their medications, labs and imaging. We had a person sign up who was charged $100 for 10 tablets of valacyclovir (Valatrex). This medication is used to treat genital herpes. At our clinic, it costs about $2.35 for 10 tablets because it costs $0.23/pill. 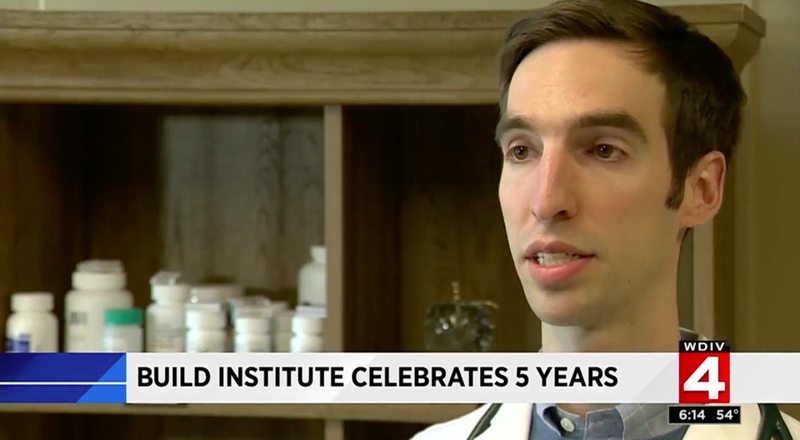 This week, Plum Health Direct Primary Care was featured on Channel 4 News, station WDIV, in Detroit, Michigan. Plum Health was billed as a service that is saving people "thousands of dollars". While we are able to save folks money on their health care needs, the reason why we do this goes much deeper. DETROIT - Dr. Paul Thomas, who runs the Plum Health Clinic in Detroit, might just have a plan to revolutionize healthcare -- it's called Direct Care. Thomas said everyone needs health insurance in case of catastrophic illness or injury, but he quickly added, "Basic healthcare outside a hospital is actually low cost." When was the last time "low cost" and "healthcare" showed up in the same sentence? A hospital test for cholesterol can cost $120; Thomas charges $6.50. A month's supply of Prilosec costs about $17 at the pharmacy, Thomas' clinic members pay 96 cents for the same prescription. "The more money the insurance companies touch, the more that sticks to their hands," Thomas said. Thomas argues that Direct Care removes the profit-takers between your dollars and your doctor, and makes affordable healthcare a reality. I am deeply grateful for the coverage, and am deeply grateful to be a physician taking care of people's medical needs. Please let me know how I can be of service to you, and thank you for reading and watching.